The entry railing and bannister are like reeds at the edge of the river (circulation). 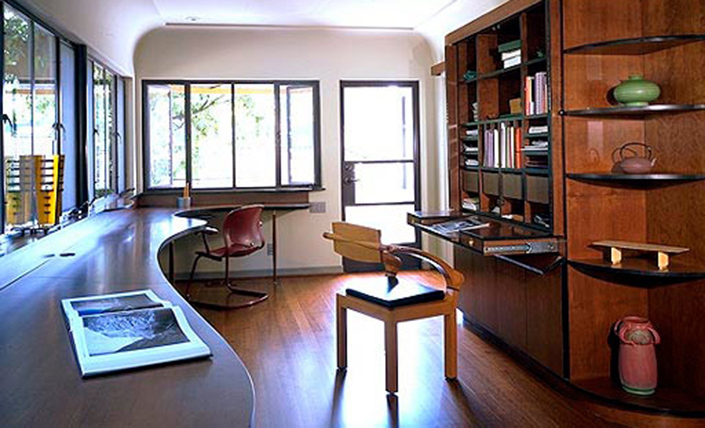 The office is formed from the former galley kitchen. We designed the built-in table to allow space for working without crowding the room; wide for laying things out, narrow where you need to scoot your chair out. 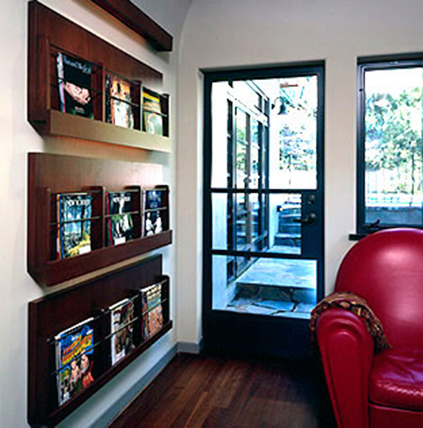 Tom Colgrove built this magazine rack that we designed for the office. Tom did some wonderful pieces for the project, working with Kathleen Greenberg Interior Design. 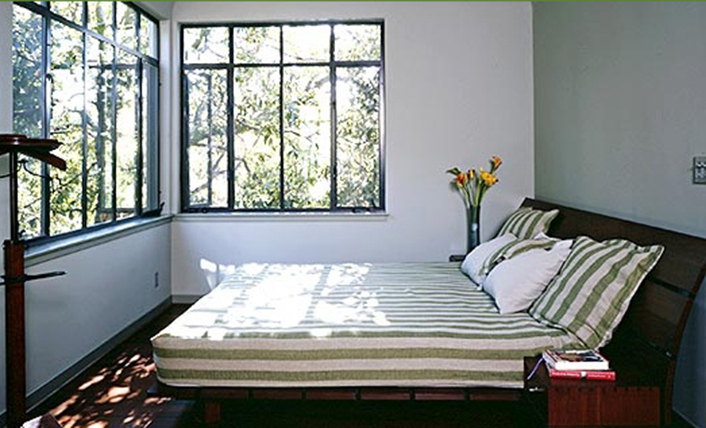 The master bedroom opens to filtered southeastern light. 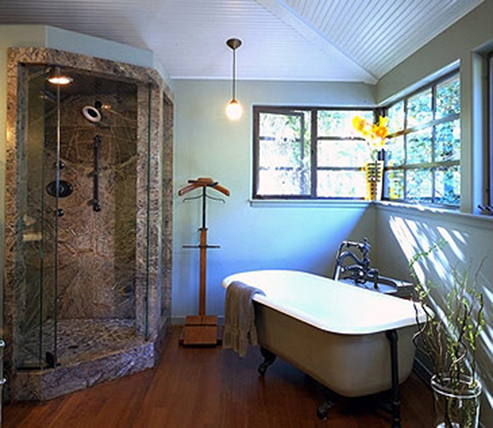 The master bath is a conceptual "porch" in the trees. 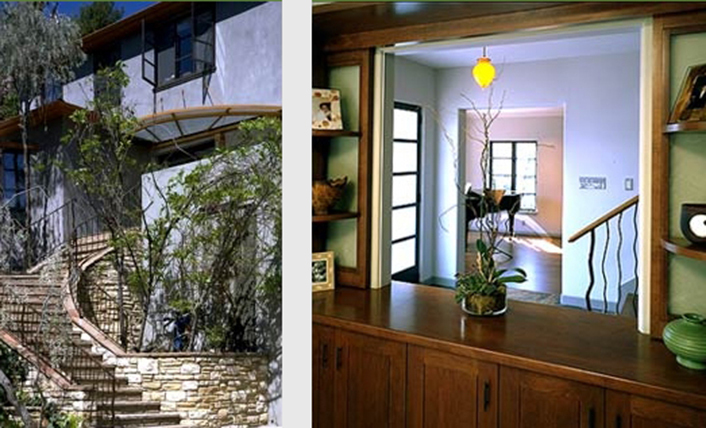 The original concept for this remodel was a river (circulation) flowing through the house. The character of each space developed from there. Spaces on the first floor overlap to create an open plan.